It’s time to declare your major and there is no better major than Medical Laboratory Sciences! The medical laboratory scientist (MLS) is a health professional who is qualified by academic and applied science education to provide service and research in medical laboratory science and related areas in a rapidly changing and dynamic healthcare delivery system. Currently there is a national shortage of certified MLS’s. The majority of MLS graduates have multiple opportunities for employment upon completion of the program. 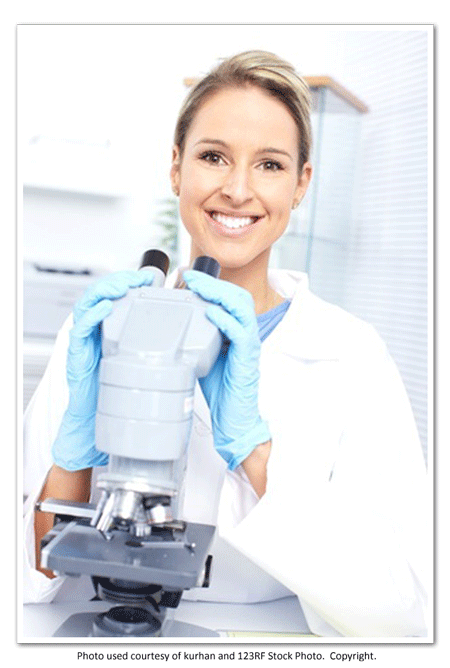 Professions associated with laboratory professionals include: clinical service, research, sales, and education. A certified MLS is qualified for a variety of employment opportunities, including: reference laboratory, public/private hospital, physician’s office laboratory, and management. We are very lucky to have an excellent MLS program right here in Idaho offered by Idaho State University. We hope you will look into this program and find it a perfect fit for your educational needs. Find out if ISU is right for you HERE. University of Cincinnati’s online Bachelor of Science in Medical Laboratory Science program offers working professional Clinical Laboratory Technicians (CLTs) and Medical Laboratory Technicians (MLTs) the opportunity to complete their bachelor’s degree and gain the knowledge and skills necessary for continued professional growth. The online MLS program combines the quality and high standards of UC’s campus-based program with the flexibility of distance learning. At UC, you can complete your degree while maintaining your personal and professional responsibilities. The Bachelor of Science in Medical Laboratory Science program is designed to complement the lifestyle of busy working professionals. Students can complete the program in as few as seven terms in this part-time program. Upon graduation, you will be eligible, and well prepared, for the Board of Certification (BOC) exam sponsored by the American Society for Clinical Pathology (ASCP) for the Medical Laboratory Scientist, MLS (ASCP) credential. Though we would love to have you come to Idaho for your education, we recognize this may not be possible for all prospective students. But never fear, there are many MLS programs across the country. If you are interested in finding out about these programs, you may search the NAACLS website HERE.